Registration and Payment after June 30, 2015. You are invited to enjoy an unforgettable night featuring cocktails (OPEN BAR), dinner and, of course, dancing. 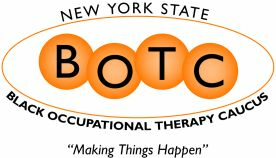 The NYSBOTC’S 40TH Anniversary Dinner Dance is a tribute to Wimberly Edwards and is a premier fundraiser to support NYSBOTC in its mission to increase its scholarship support for Black Occupational Therapy and Occupational Therapy Assistant students. This event will also honor individuals who contribute to NYSBOTC’S mission and who have gone far beyond the call of service.